Triumph just took the lid off its latest and perhaps most highly-anticipated new Bonneville model: the Triumph Street Scrambler. 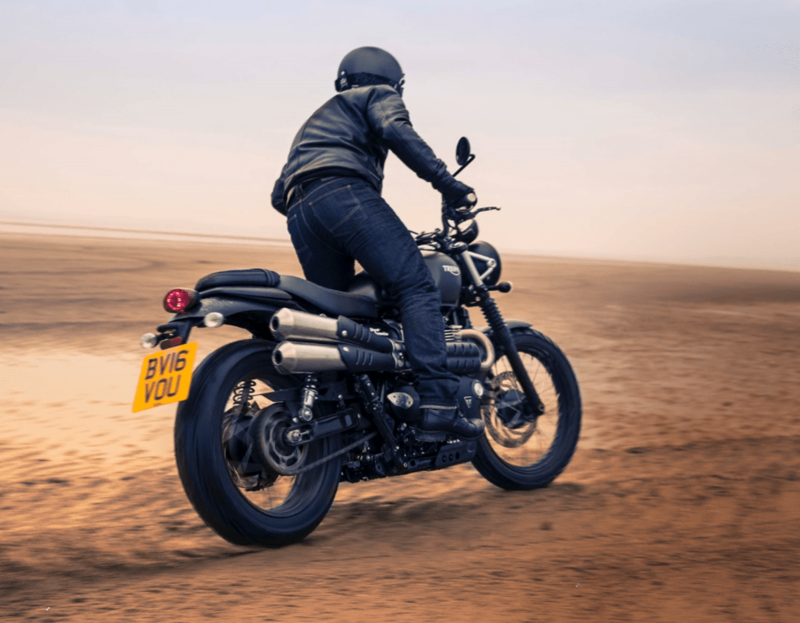 This next generation Scrambler is based on the new liquid-cooled 900cc Bonneville Street Twin platform, but don’t assume it’s just a Street Twin with a side pipe. It’s not. It’s so much more. The bike that defined the genre is back and better than ever. Triumph haven’t dropped the full specs to the public yet, but what we can say is that the Street Scrambler has its own “high-torque” version of the fantastic 900cc parallel twin we already know and love in the Street Twin. It’s also got bespoke frame geometry, off-road friendly foot peg position, its own front forks and rear suspension (including more ride height), and an aluminum luggage rack as standard. You can even swap out for a solo seat with additional rack space. 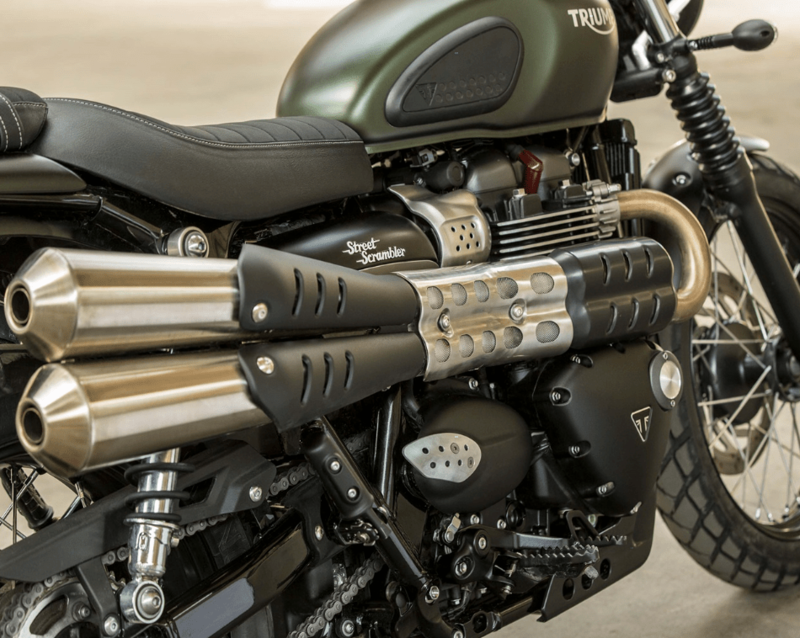 The Triumph Street Scrambler also inherits all the key upgrades in the new Bonneville lineup. Choice examples being liquid cooling, ABS & Traction Control (which are switchable for off-road use), and lighter overall weight. 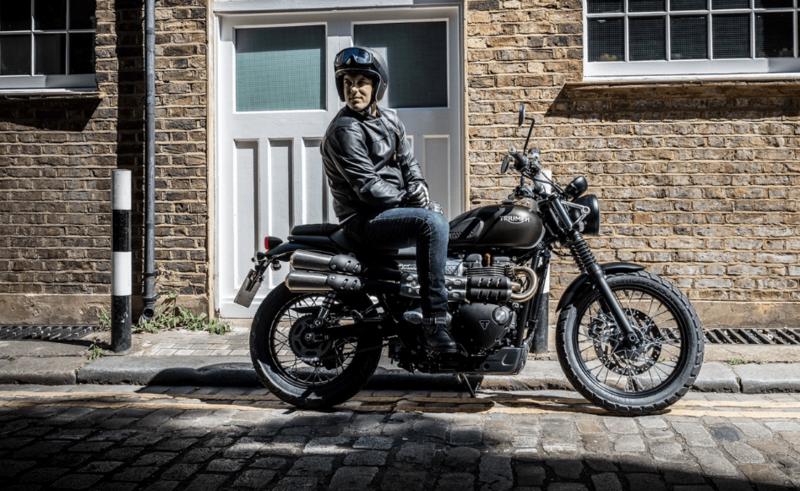 Triumph has done such a great job integrating all these modern must-haves into the classic style of the other new Bonnevilles and the Street Scrambler is no different. You’ll be able to enjoy the classic look and function of the iconic Triumph Scrambler, but with all the modern reliability and safety features of a modern bike. Not too shabby. We’re told this bike will also be featured in the “Brutal Beauty” tour that’s headed our way Saturday, November 19th. Invites went out via email, so if you’re not already on our email newsletter list, don’t miss out on exclusive events like this in the future. Meanwhile, we’re beyond stoked for a new lighter, meaner, more off-road capable Triumph Street Scrambler. The classic lines and spirit of McQueen attitude are all there. We can’t wait to see a whole crop of these at next year’s Motoworks Scramble. Like what you see? 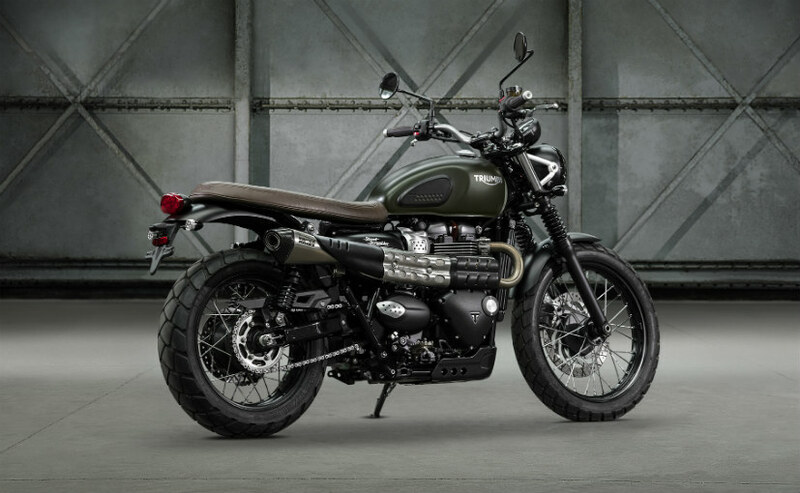 We’re ready to take deposits on the new Bonneville Street Scrambler. Deposits are 100% refundable, and are the fastest way to get you the new Triumph you want. Email our Sales Team or call (312) 738-4269. Nathaniel is a Chicago area journalist, photographer and bike builder.